SouthKey is rapidly developing into a future gateway to an esteemed lifestyle for today’s urbanites. Right in the heart of Iskandar Malaysia’s Flagship Zone A lies a new metropolis that not only boasts a strategic location for enhanced potential, but also poises to be a thriving hub for a truly wholesome urban living, blending harmony with modernity. SouthKey is an up-and-coming urban lifestyle development by SouthKey City Sdn Bhd that promises to be a city for a progressive lifestyle. This is an integrated urban lifestyle development that features different components such as commercial, residential, wellness, education institutional, central park and various amenities. All of which comes wonderfully together to provide a fulfilling environment for people from all walks of life to enjoy living, working, playing or relaxing. Spanning across 330 acre, and the developer has taken careful steps to ensure that. An 18-acre thoughtfully planned Central Park serves as the lush green lung of the development, providing a much-needed breath of fresh air for all as they begin each day with a smile. For the first time ever in Johor Bahru, there will be unique four-storey free standing boutique pods in SouthKey. These pods have excellent main road frontage that gives maximum visibility to draw the crowds, even more as they flaunt a contemporary glass and aluminium-clad design. The built-up area for each pod has been optimised and measures between 4,305 sq ft to 11,845 sq ft, allowing for business owners to enjoy flexible spaces. As they are free-standing, this gives them the added advantage of being double frontage – facing both the ever-busy Jalan Bakar Batu and the Mosaic shops. The Mosaic shops themselves are a sight to behold, as the 41 units of four-storey shop offices are elegantly designed to become the perfect business space for everything. Ranging from start-up companies to established big names, they can be sure that first-rate functionality is what they will get. They would be able to choose from built-ups ranging from 5,636 sq ft to 13,883 sq ft, where each unit is capacious enough for those who are looking to create sections, without compromising on the freedom of creative layout planning. With a polished facade, the two-block SouthKey Mosaic serviced residences is the final piece of the puzzle to complete the picture that defines luxurious living. The units come with a built-up ranging from 676 sq ft to 1,509 sq ft. Residents can expect to come home to fuss-free and practical layouts, distinctive high ceilings and wide hallways to exude a sense of spaciousness, as well as broadband ready to ensure a stable connection. Behind the steel-and-glass, there is a first-of-its-kind car park with smart EV charging stations for electric cars plus a host of world-class facilities. Some of these include a verdant camping base for an outdoor adventure right at the doorstep, infinity pool, gymnasium, 24-hour multi-tier security system and a sky lounge on the top floor that allows for socialising to take place on a whole new level. Visionaries from IGB Corporation Bhd and SouthKey City Sdn Bhd decided that shopping would be the next big thing in the southern region. Thus the creation of the largest shopping mall in the southern region located within the prestigious address of SouthKey to cater to the large ready catchment population. 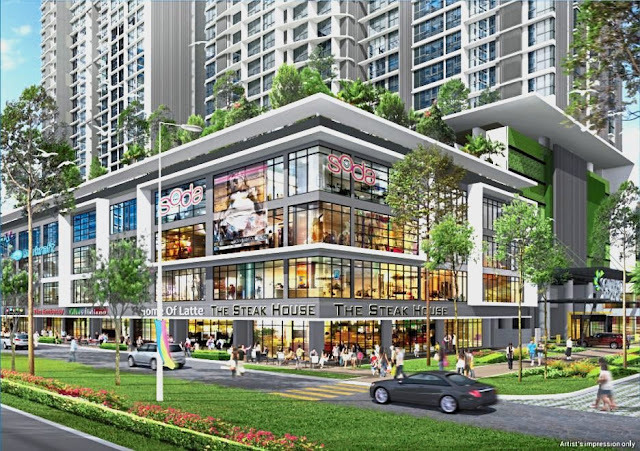 The Midvalley Southkey Megamall comprises 2.5mil sq ft of net lettable area with an expected completion date of phase 1 by end 2018. Lakefront, a nine-storey office building fronting lake, will offer 128 units of shop offices. No development would be complete without established amenities in the vicinity to further enhance the lifestyle of everyone. 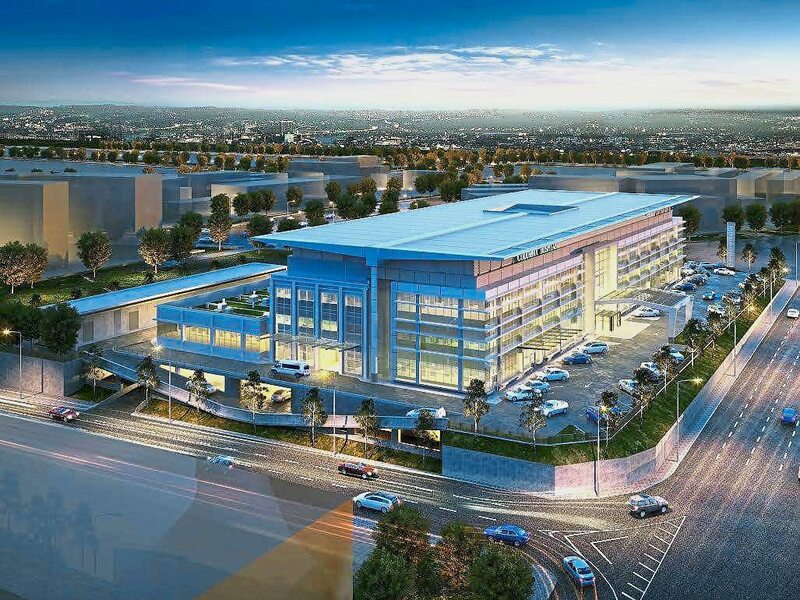 Among some of the amenities that will be present in SouthKey are the Colombia Asia Hospital with a 150-bed capacity, City University College of Science and Technology, and an upcoming 238-room business hotel. Southkey Hotel will offer facilities such as ballroom, function rooms, bar lounge, cafe, business centre, swimming pool, shop and gym room. SouthKey enjoys excellent accessibility through a network of major highways and thoroughfares like North-South Expressway, Eastern Dispersal Link (EDL), Senai Desaru Expressway, Second Link Expressway and Coastal Highway (Phase 2). Jalan Bakar Batu is another one of the main roads that leads to and from the development, and it has already been widened to six lanes, allowing for smoother flow of traffic.